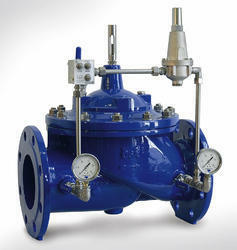 Our product range includes a wide range of pilot operated pressure reducing valve and steam pressure reducing valve. Casing Body Test Pressure: 3.75 MPa. 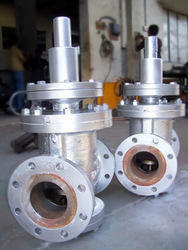 Sealing Test Presure: 2.5 MPa. Max. nlet presure: 2.5 MPa. Outlet pressure range: 0.02 - 1.6 MPa. DN: 15, 20, 25, 32, 40, 50. Cv: 2.9, 5.3, 8.6, 11.6, 16.5, 29.1. Body, Bonnet: GG-20, WCB, 304 S.S.